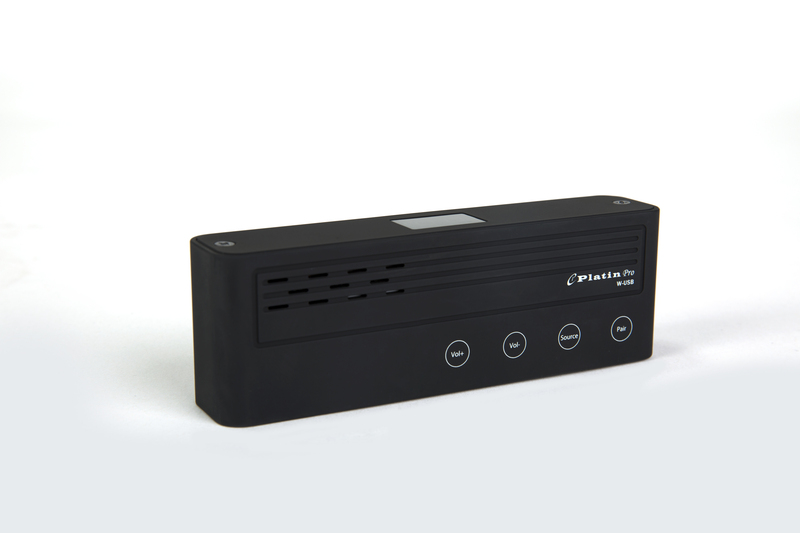 The Platin Pro Series USB adapter is wireless transmitter platform designed for the professional audio market. When combined with our powerful PPA series speakers, this system provides best in class, high definition audio with the convenience of wireless - eliminating wire clutter and the need for additional amplifiers. 3.5mm line input function can ensure connection to nearly any legacy device in any commercial space such as restaurants, bars, music venues retail shops and theaters.